With your support, the Foundation’s 2017 Tasting & Auction raised more than $95,000 for our local public schools. 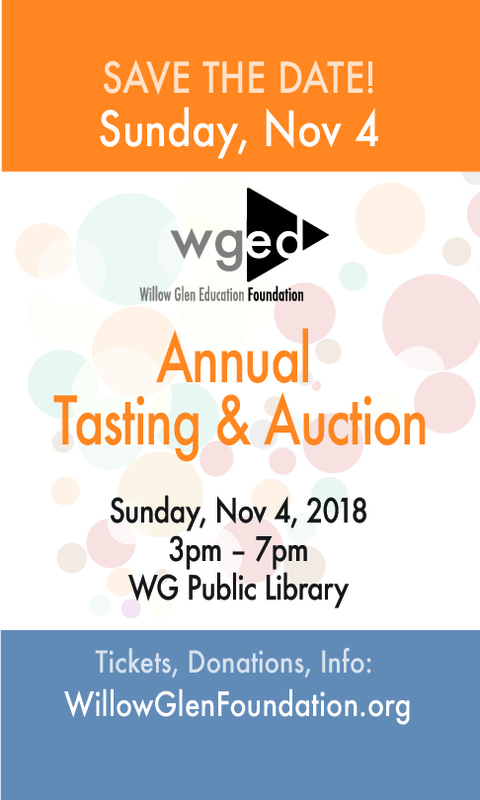 If your local restaurant, brewery, or winery is interested in joining us as an event sponsor our party partner, please leave a comment below, or contact us at Info@WillowGlenFoundation.org! 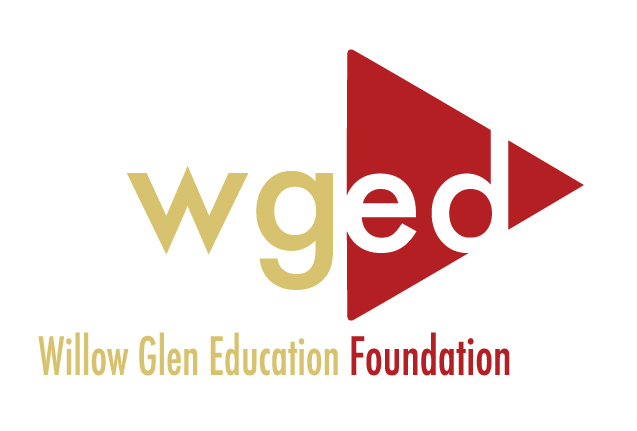 We’re very excited to share the Willow Glen Education Foundation’s new logo! After the merger of the Foundation and the WGHS Parent Club, we wanted our new logo to emphasize the momentum that a great education provides for our students. Our new “play” button highlights our cutting-edge class offerings, including science and technology, while our colors reflect the history and tradition of our great neighborhood schools. Please extend our special appreciation to volunteer and parent Michele Bertolone, who guided our logo development and design process, and donated all of her time and expertise free-of-charge to the Foundation. Thank you, Michele! 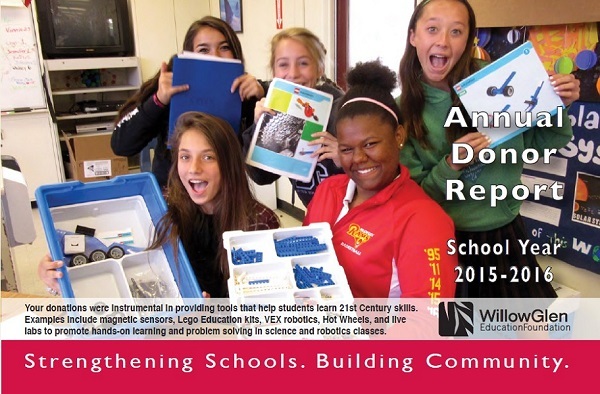 We raised more than $15,000 from donors this year, and celebrated with prizes from local Willow Glen merchants. Thank You! … Even if you missed the fun on Tuesday, you can still donate today to help our kids! 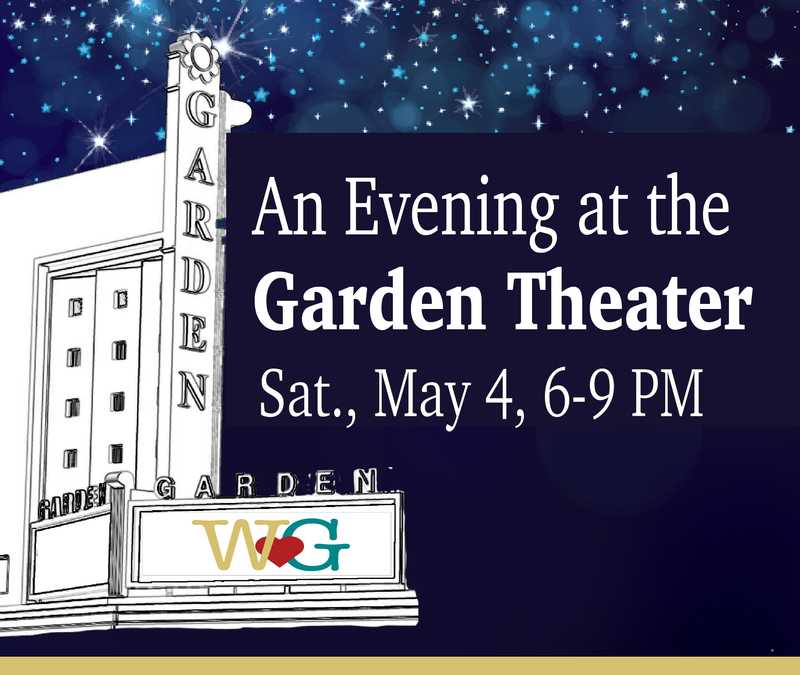 We need your help spreading the word and expanding our support to friends and neighbors across Willow Glen, especially to those who may not realize the difference that community donations to the Foundation can make.